Hair style: Long but shaved on both sides, he wears it parted to one side. He also has a full heavy stubble. Chest: Blue sparrow on each collarbone facing each other and an upside down stylized fleur de lis on his chest. 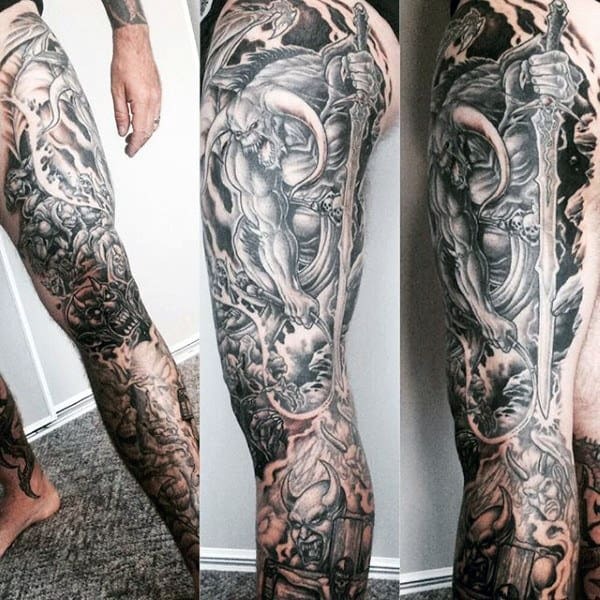 Left Arm: Full Sleeve depicting demonic entities, visuals, etc. Right Arm: Full Sleeve depicting angelic entities, visuals, scripture, etc. Tops (Entrance Only): Open vest, perhaps worn or frayed from years of use, with a hood on the back he only wears up when he has his mask on for special entrances. It's covered it has various buttons and patches of events and places that mean something to him marking his accomplishments. One might be the Japanese flag, another might say SHOGUN for the Japanese company he was Heavyweight Champion of after his comback. SAWF might be there from the company he got his start in. Another could be something mentioning Louisiana or New Orleans, which is where he's very proud to be from. Elbow pads: One on each side. Middle: Red runner around the waist with a gold trim. 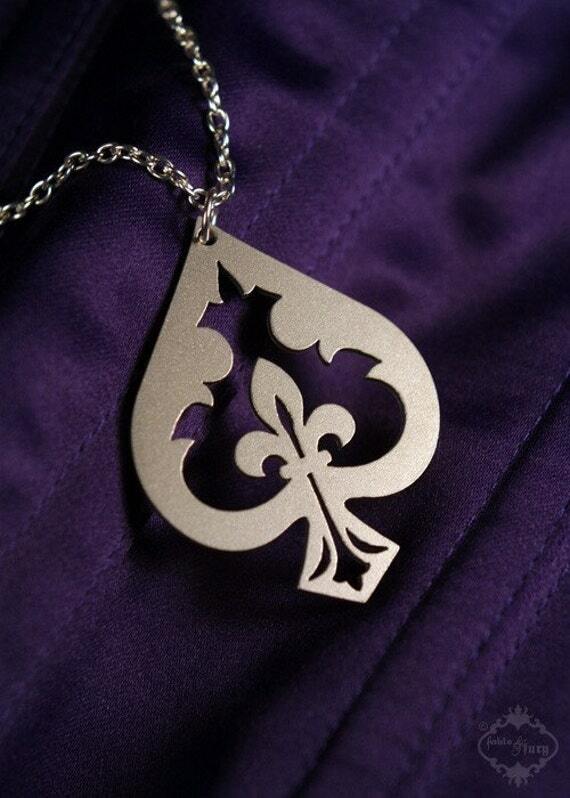 Legs: Each leg has a red logo, which is a stylized fleur de lis inside of a spade like the one pictured on this necklace. https://i.etsystatic.com/5663108/r/i....180801806.jpg with a thin gold outline. Color: Black with red trim and white laces. Tops: Black sleeveless outfit (Bam Bam Bigelow-style) with two red fists on the front. Silver eyes (a la Jyushin Liger). Only visible part of the mask is his mouth. Fitness: Lack there of. Rounded. -Designs Sparkly or Sequined. Think Ric Flair without the feathers. Accessories: If "Lovely" fits vertically, use it, if not. no harm. Right Arm: Sailing Ship in the water. -Designs “Exclusive” on the front. Lance Mingle looks like Theo Von lol Great work, Chris! Thank you so much Chris, really appreciate your time sir. Lance and Eric look fantastic! No rush at all on these ones honestly, but didn't know if you saw these ones yet. I got you Seth. Had some health things go on and I’ve been slowly working on the micros here and there trying not to burn myself out again. I went with the easier ones first before starting LaCroix, yours and Crimson’s 3 updates. I’ll get everything done sooner or later, promise. No worries, brother, always take care of yourself first. Hope all is well!